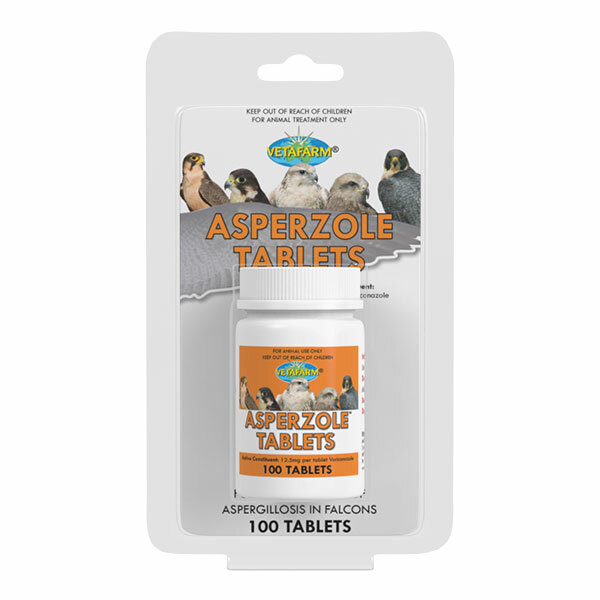 Quail flavoured powder for the addition to food items for the prevention and treatment of exhaustion and dehydration from hunting, travel, disease and injury in Falcons. Use prior to hunting or release, before and during travel, after the hunt and to assist in recovery from stress, disease or injury. 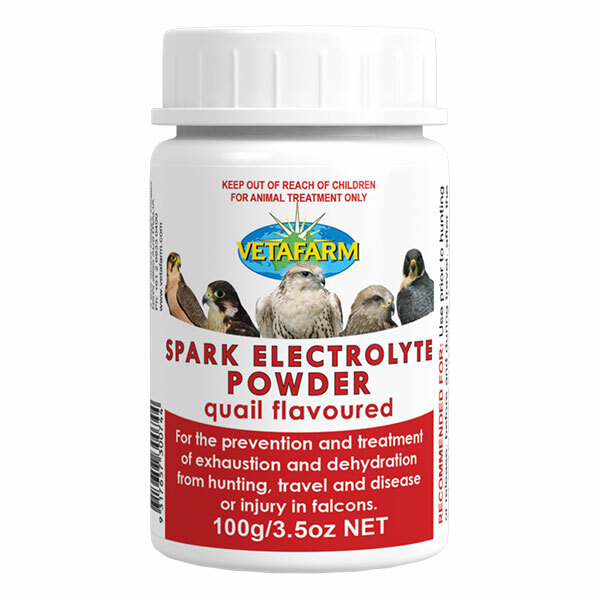 Sprinkle 1 scoop of Spark Electrolyte powder over each quail before feeding. 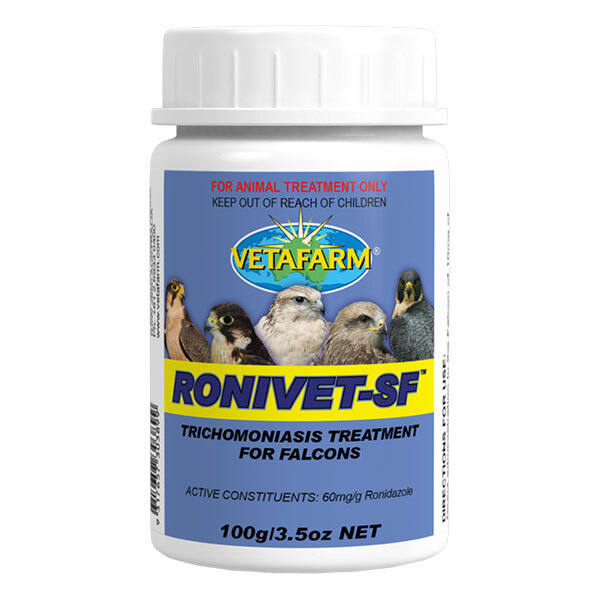 In-water treatment for Trichomoniasis (Frounce) in falcons. Trichomoniasis (Frounce) is a common disease of hunting falcons. 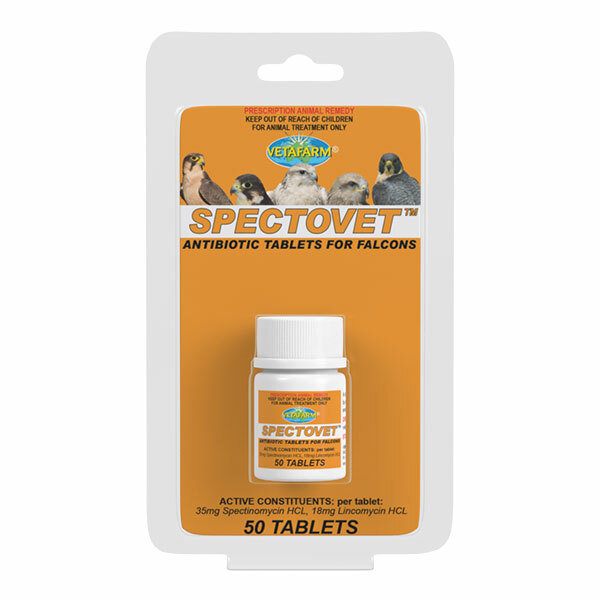 Frounce may severely affect the throat and gut of the falcon leading to ill-health, poor performance and death. Trichomoniasis is often seen at times of stress or injury.